1. Combine broth, spaghetti, onion, broccoli, asparagus, mushrooms, carrots, garlic, salt, and pepper to a large pot over high heat. Drizzle with olive oil. 2. As soon as it comes to a boil, set a timer for 7 minutes and start tossing gently with long-handled tongs. 3. 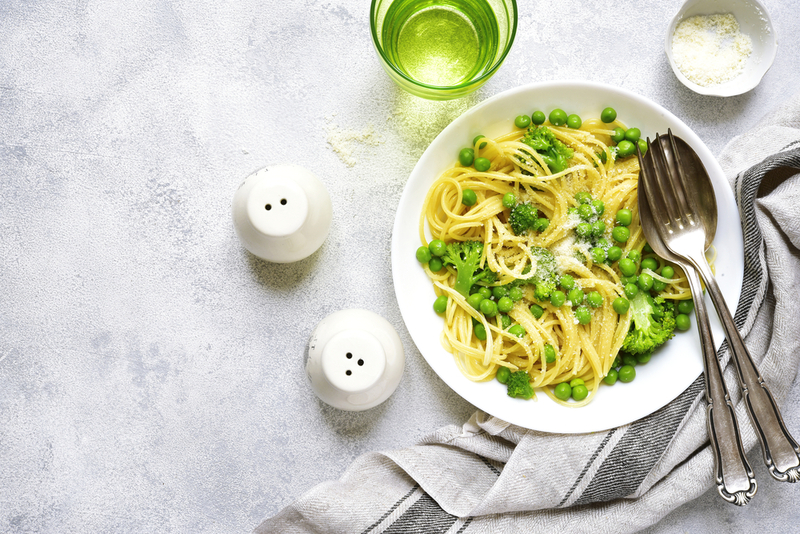 After 7 minutes, add peas, dill, cream cheese, Parmesan, and lemon zest and continue cooking, tossing constantly, for 1-2 more minutes, until the pasta and veggies are tender. Add additional salt and pepper to taste. 4. Remove from heat. Let cool at least 5 minutes before serving.